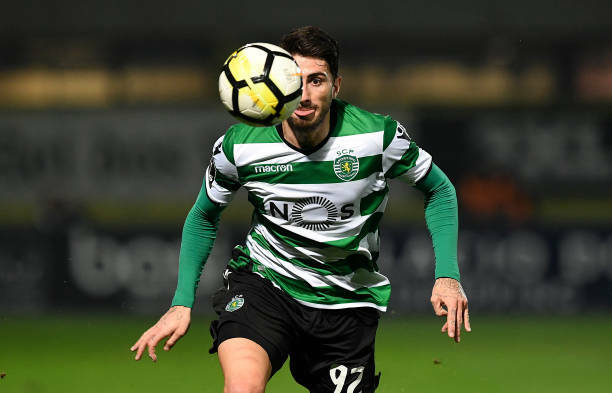 Sporting Lisbon right-back Cristiano Piccini could be the latest high-profile player to leave the Portuguese giants. A source close to the player revealed to Turkish-Football that Piccini is considering his options. The player is among several players unsettled by the recent attack by masked hooligans during a training session. Besiktas have made the most serious offer, putting forward a loan deal with a buyout clause option. Talks have taken place between agents but negotiations are still at an early stage. The Black Eagles have made strengthening their right-back position a priority. Sporting would however, prefer to sell the 25-year-old. Besiktas would be unable to match the £17.5m valuation the Primeira Liga side have set due to pressure from Financial Fair Play to curb spending. Manchester United, West Ham and Inter have also expressed an interest in the full-back. United did recently sign Diego Dalot on a five-year contract for a fee of £19 million from Porto but he is just 19-years-old. The availability of Pıccini could prove tempting to the Red Devils who have been scouting the full-back along with the Hammers, Inter and Besiktas throughout the 2017-18 campaign. Sporting have already signed a new right-back, snapping up Bruno Gaspar from Fiorentina at the end of June. Piccini cost just £2.6m from Real Betis a year ago but his valuation has skyrocketed after an impressive debut season in Portugal. The full-back provided three assists in 40 appearances for the Portuguese outfit last campaign.